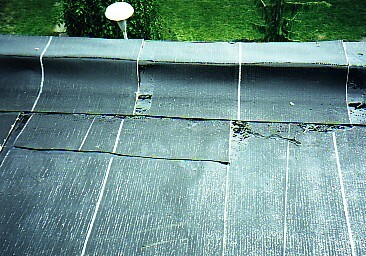 Shingle roof with organic felt underlayment. 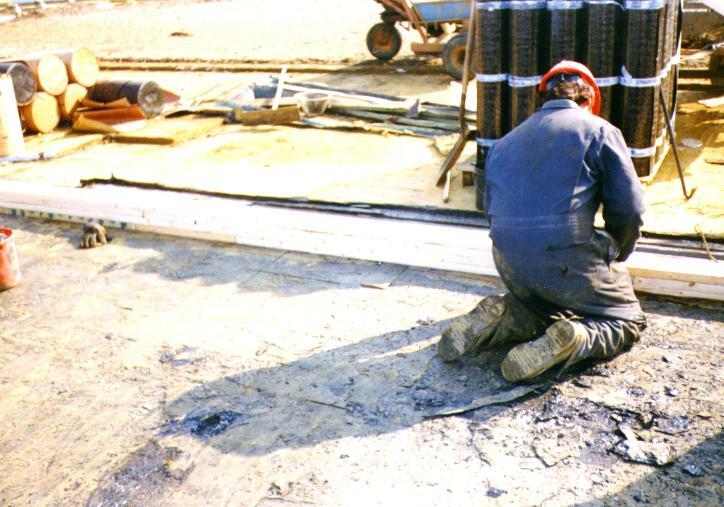 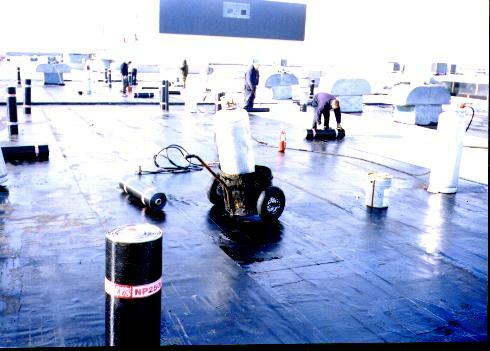 Installing insulation in hot bitumen. 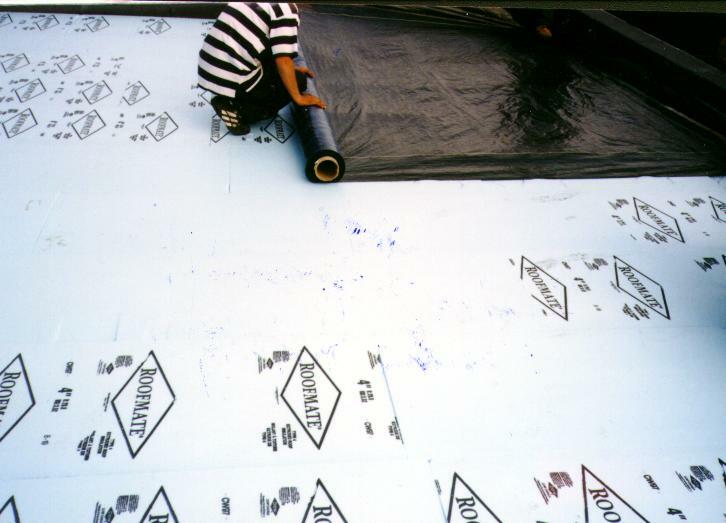 Installation of polyisocyanurate insulation and fibreboard overlay insulation. 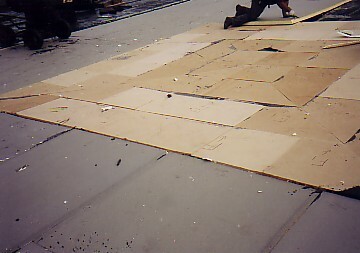 Installation of Kraft paper on gypsum board by use of hot asphalt. 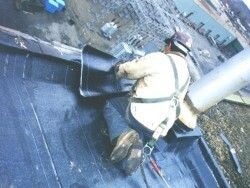 Torch applying modified cap flashing to a curb detail on a built up type 4 glass felt application. 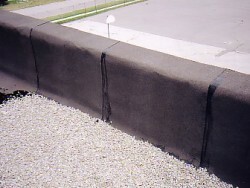 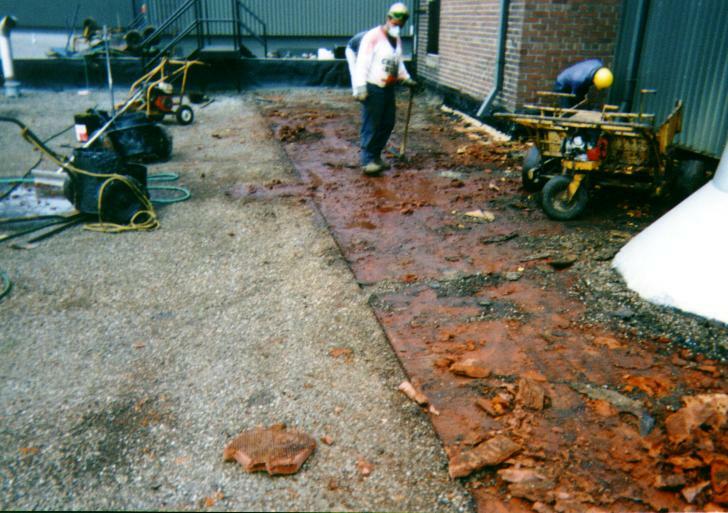 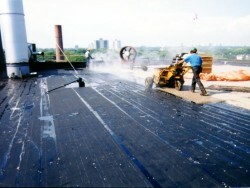 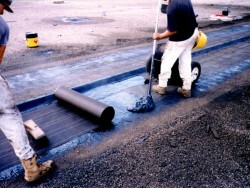 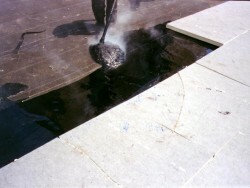 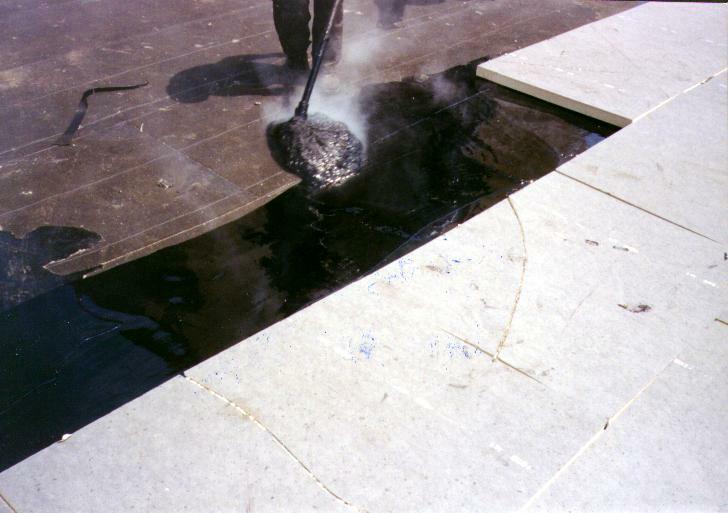 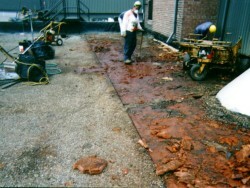 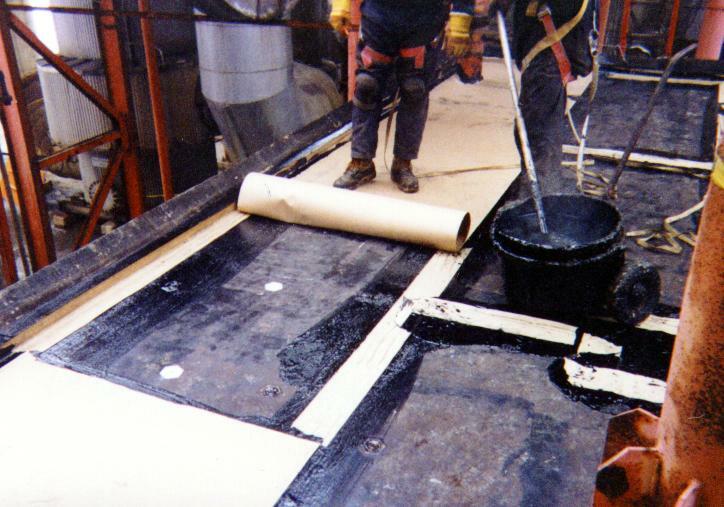 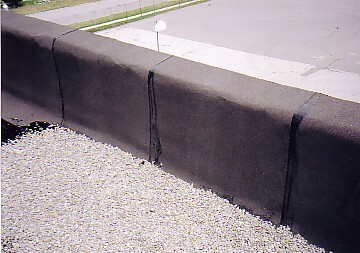 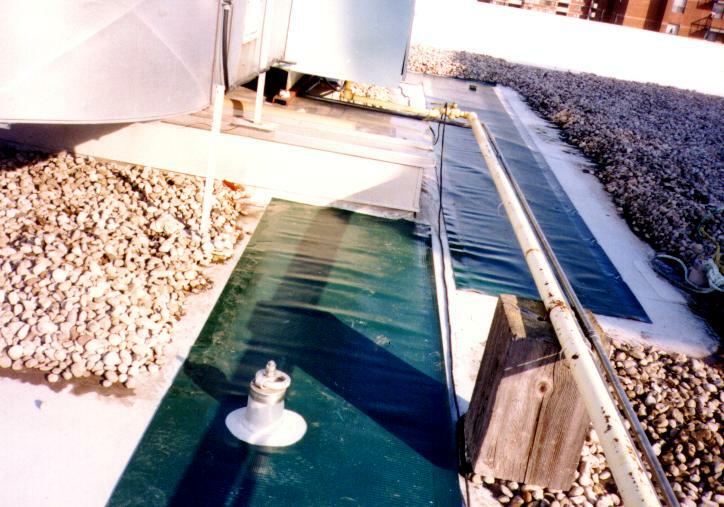 Mop application of organic felt membrane. 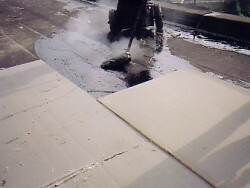 Mop application of 4 ply organic felt. 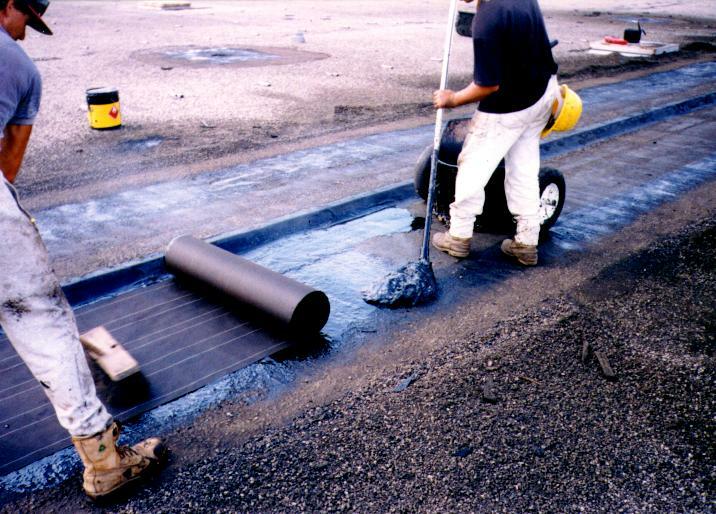 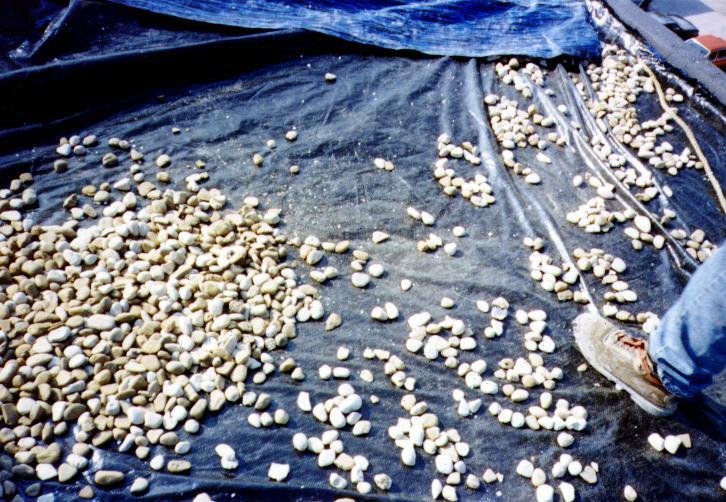 Application of pea gravel in hot asphalt. 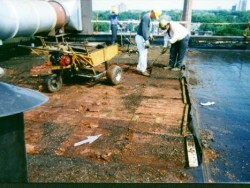 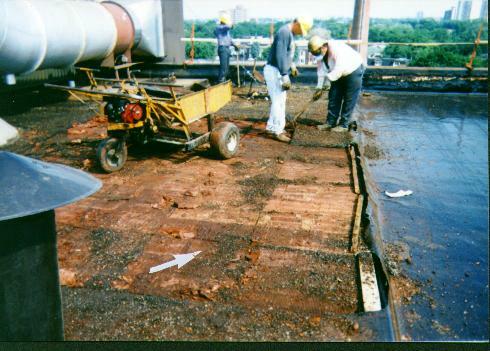 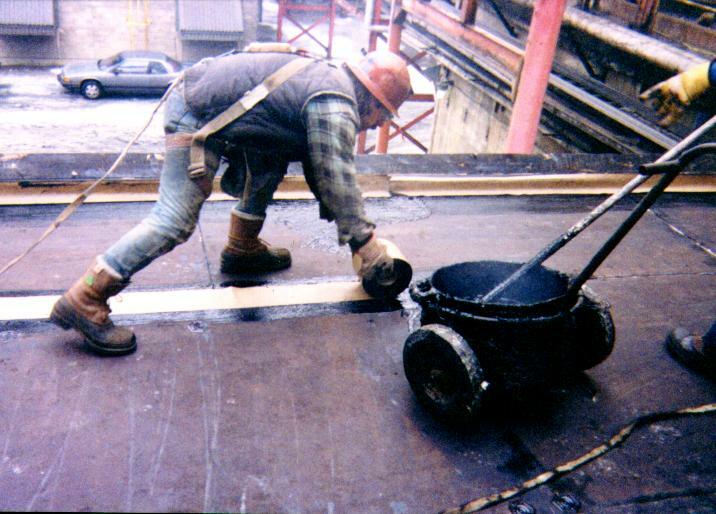 Mop application of organic felt at a control joint repair. 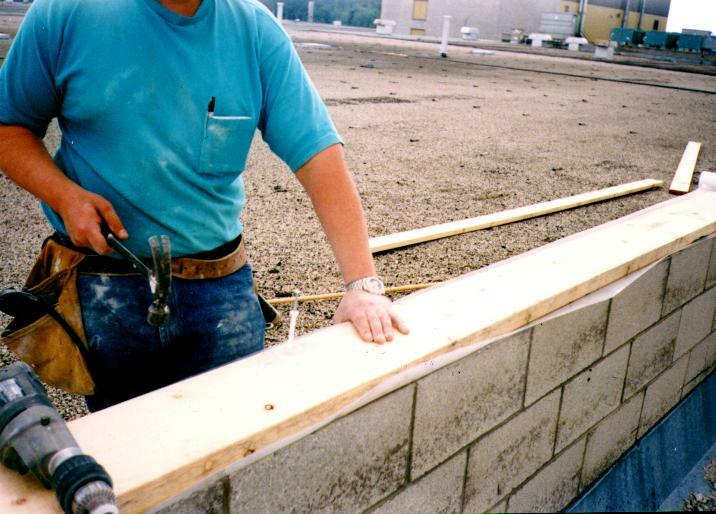 Installing a wood nailer at the top of a firewall prior to application of ice and water shield membrane. 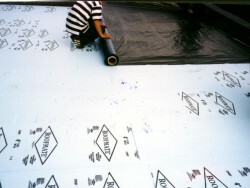 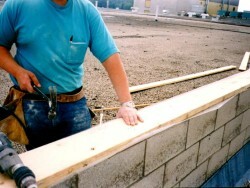 Tapping the joint of asphalt primed gypsum board. 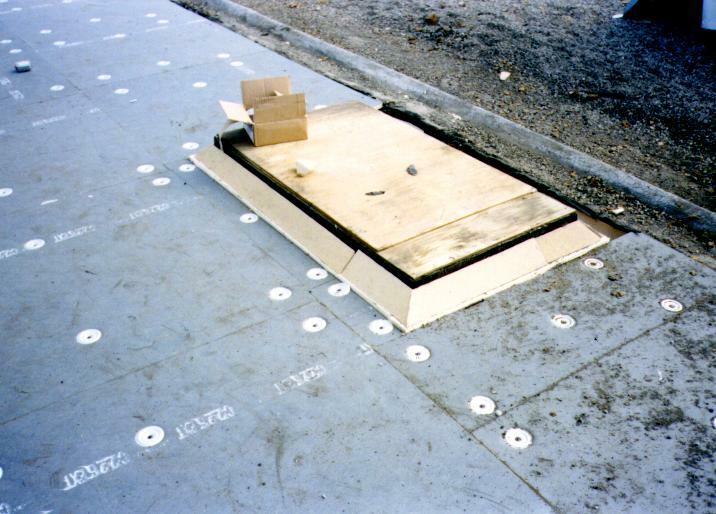 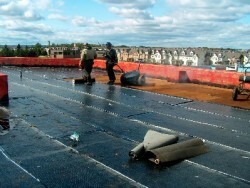 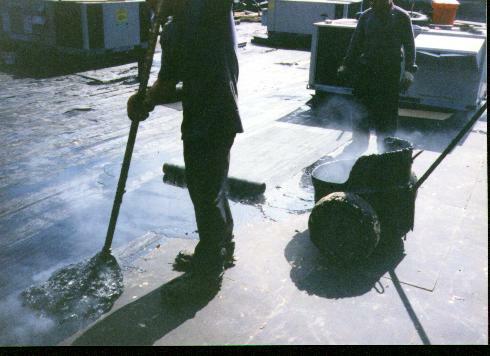 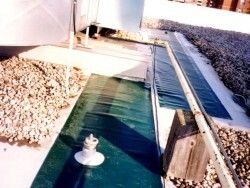 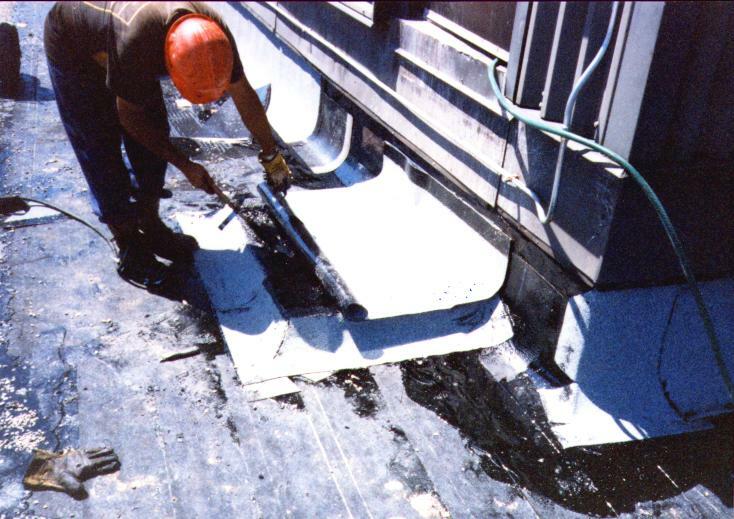 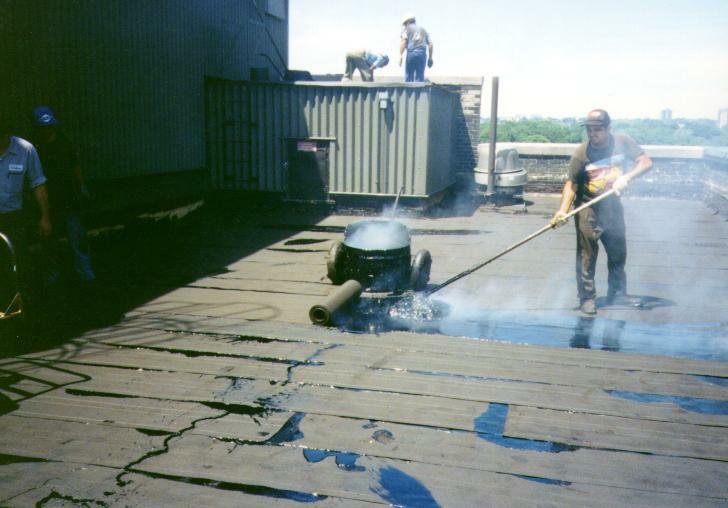 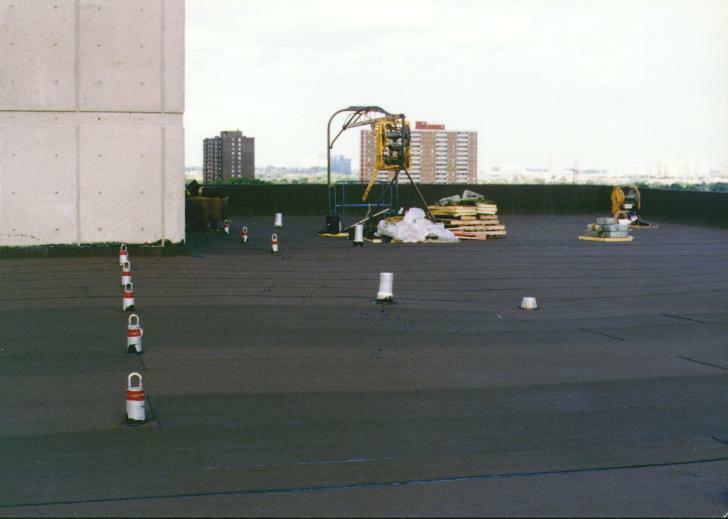 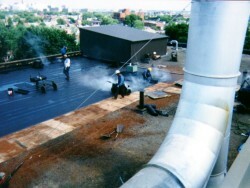 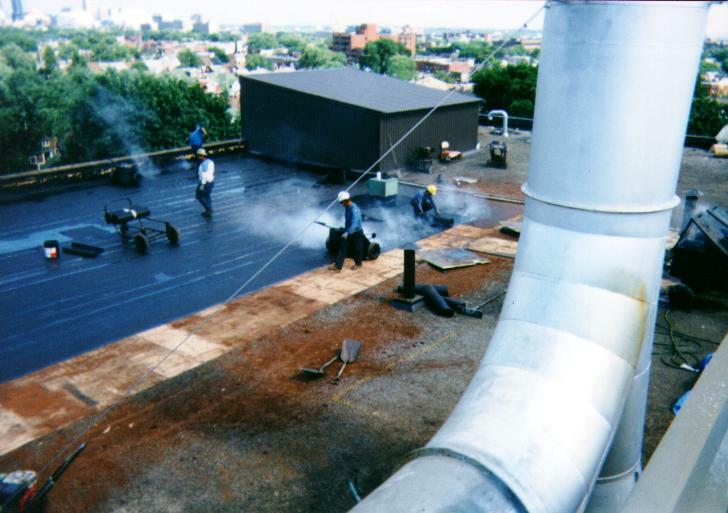 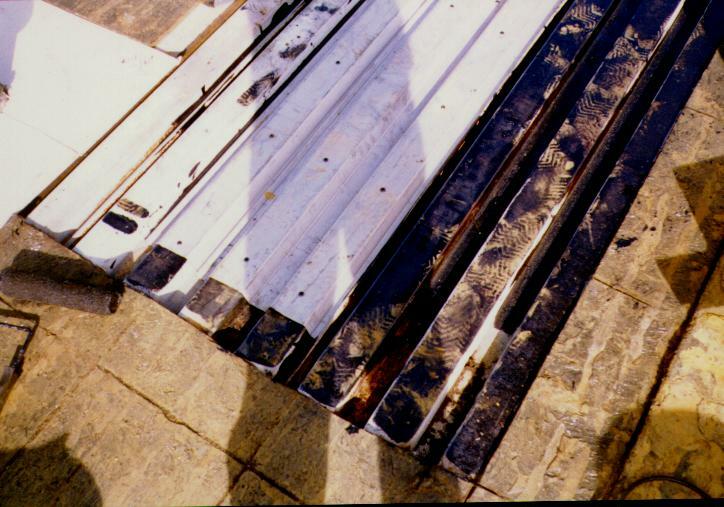 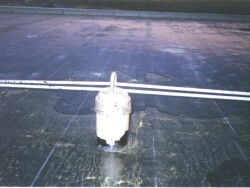 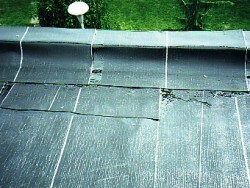 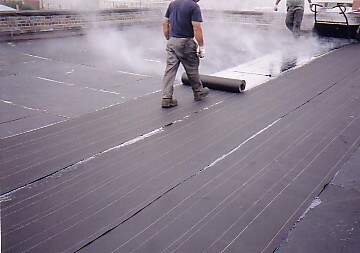 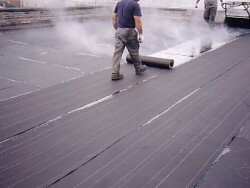 Torch application of modified cap sheet for a modified bitumen roof system. 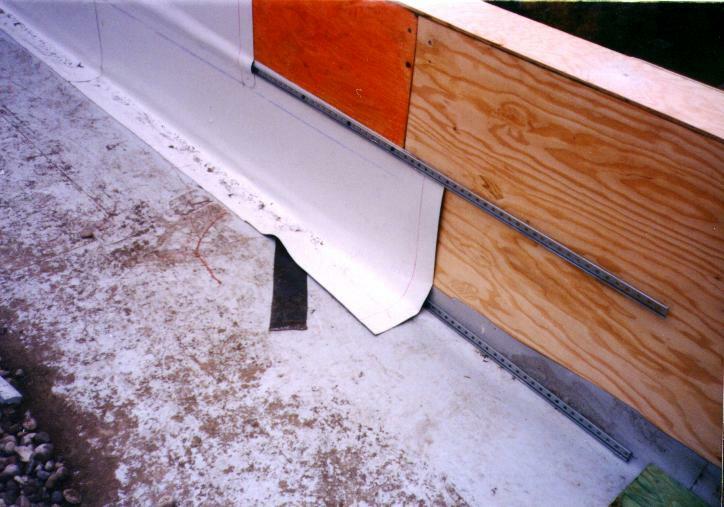 Fitting of modified base flashing at edge detail. 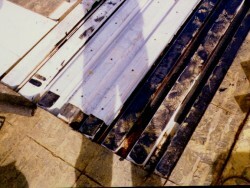 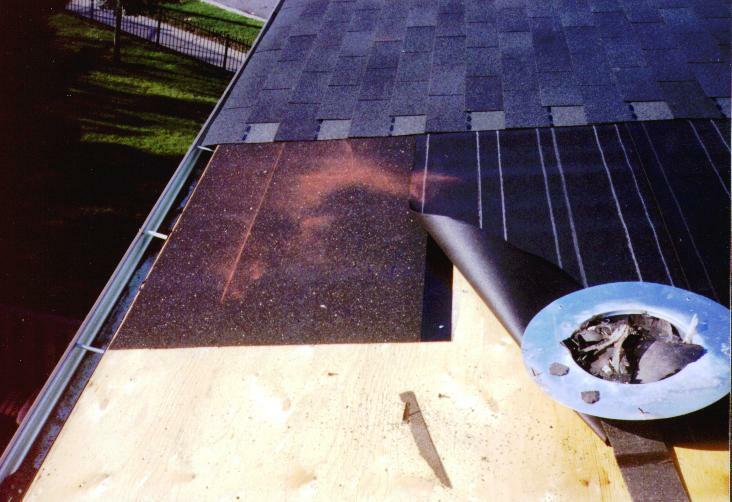 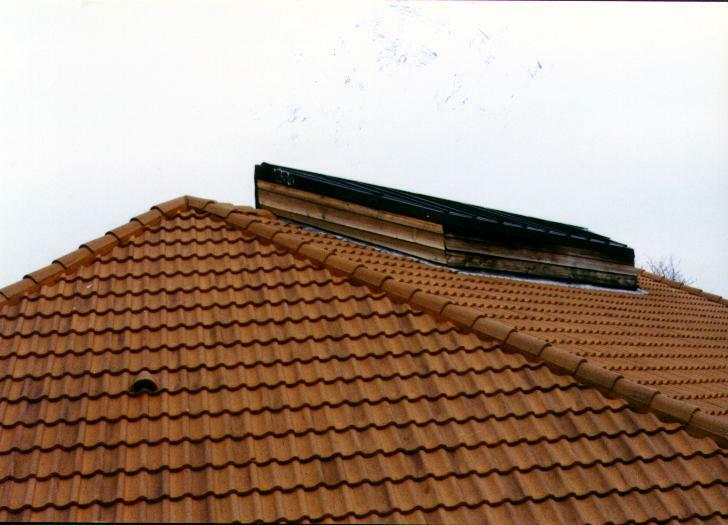 Installation of metal flashing at a vent stack. 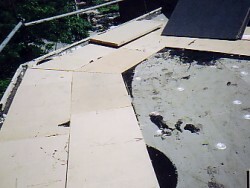 Construction of a new control joint. 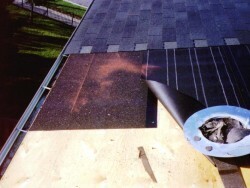 Installation of 2 part PVC flashing detail. 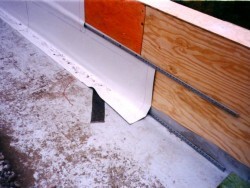 Illustration of a PVC walkway. 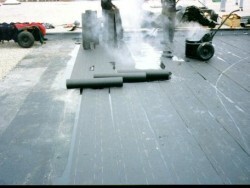 Installation of new metal decking and application of rust inhibitor. 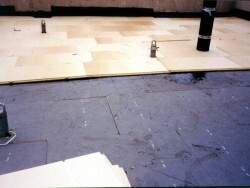 Installation of insulation for an inverted roof application. 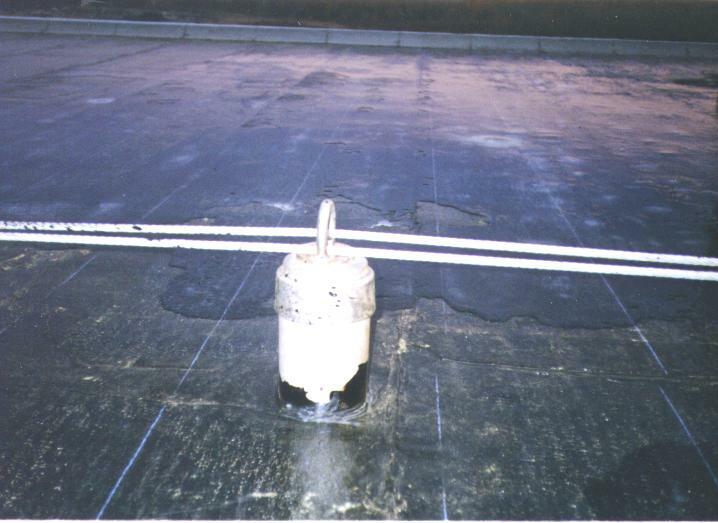 Torch application of a modified membrane. 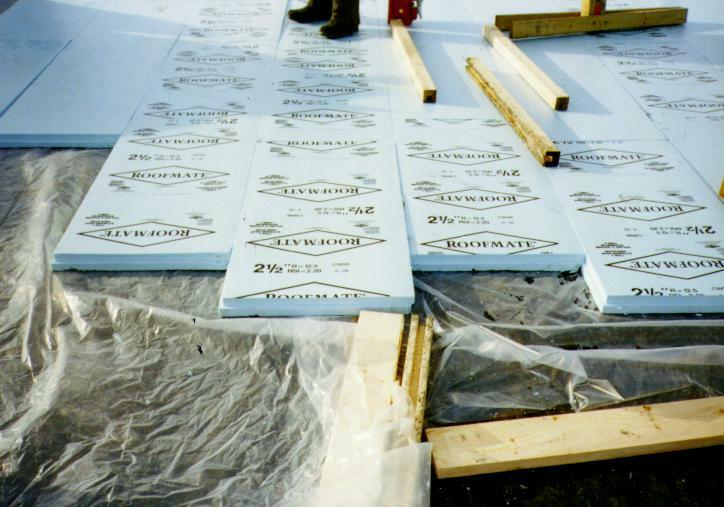 Polyisocyanurate insulation is mechanically fastened to deck. 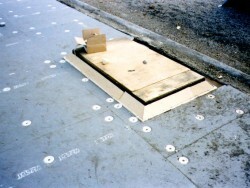 Note new cant strips applied to curb detail. 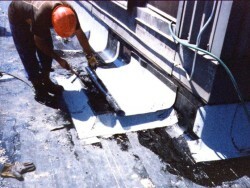 Adhering of EPDM flashing at curb detail. 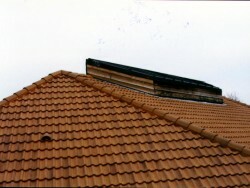 Marley concrete tile roof system. 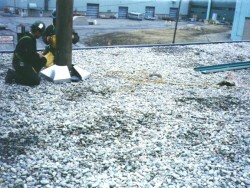 Illustration of fall restraint system. 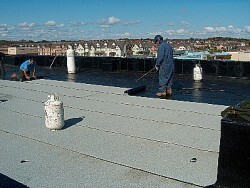 Finished tapered 2 ply modified bitumen roof. 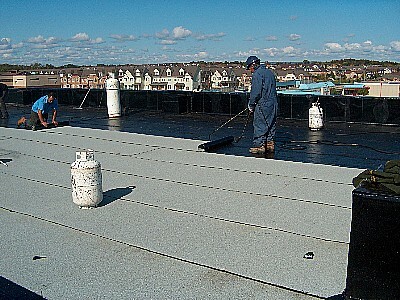 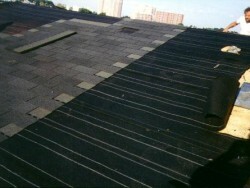 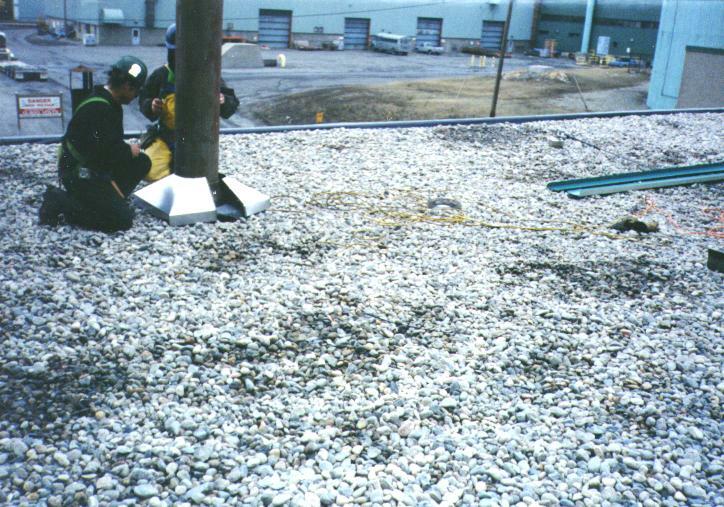 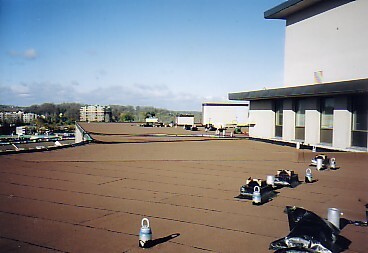 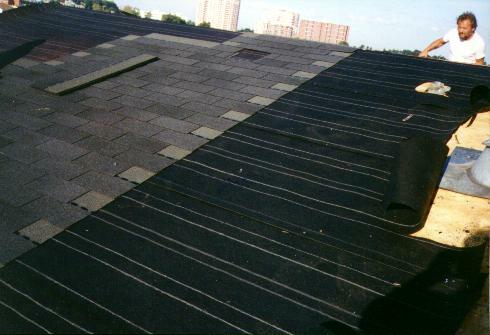 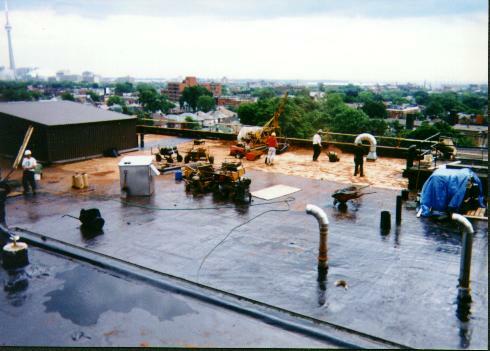 Installation of an EPDM loose laid ballasted roof system. 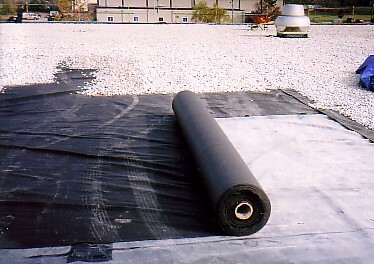 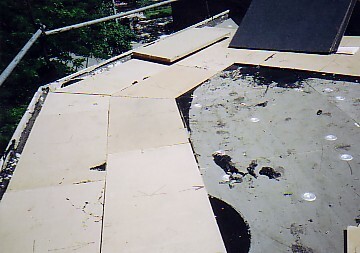 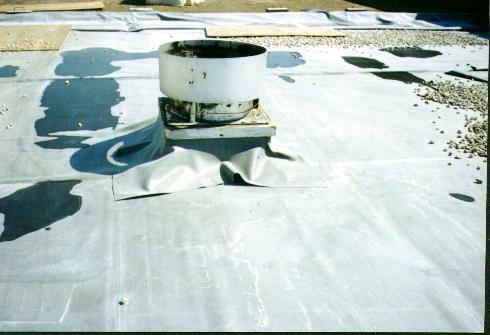 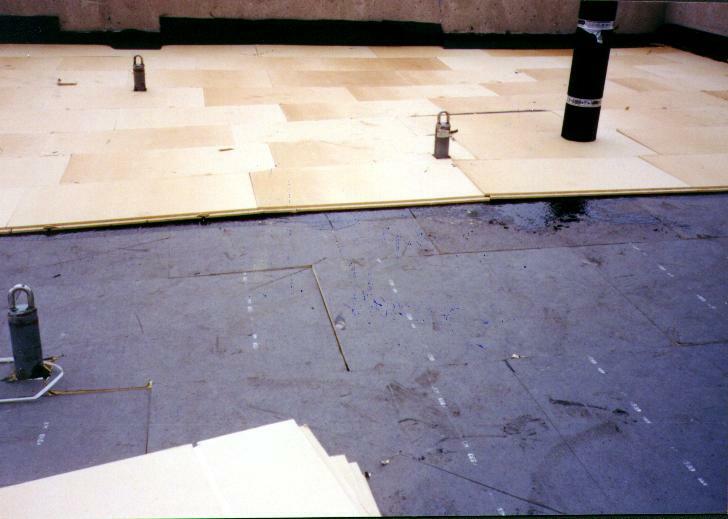 Lay out of filter fabric sheet for an inverted roofing system. 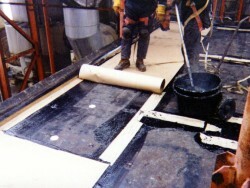 Ballast being placed over filter fabric sheet. 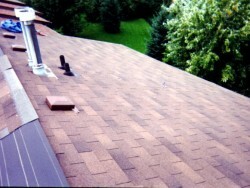 Installation of a shingle roof. 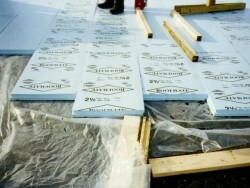 Shingle roof with ice and water protection and organic felt underlay. 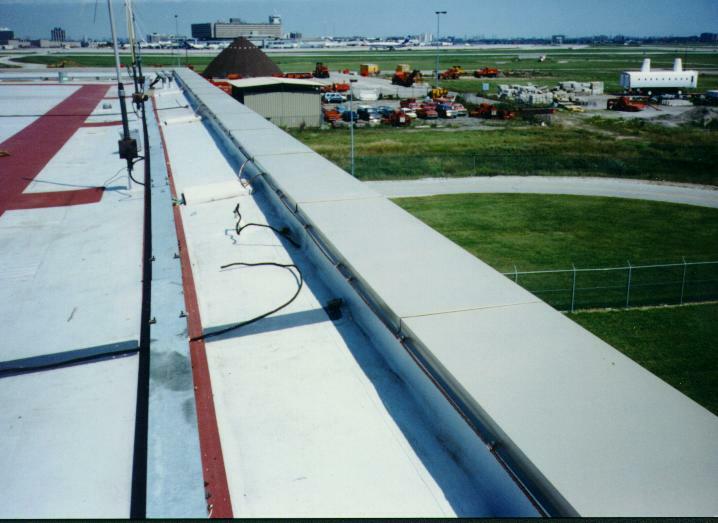 View of completed PVC roof application at Air Traffic Control building Pearson International Airport. Mop application of No.15 felt in asphalt. 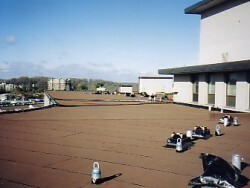 Completed two ply modified roof. 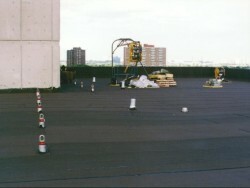 View of a common roofing site. 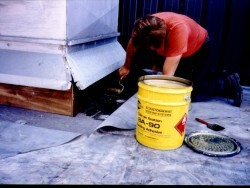 Installing tapered insulation on a roof. 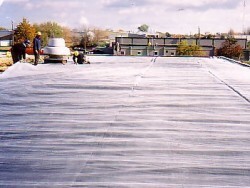 Installation of filter fabric sheet inverted roof. 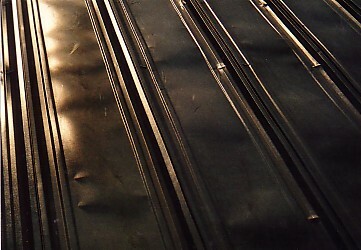 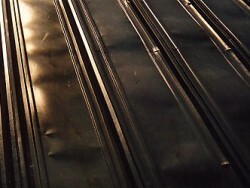 Standing seam metal roof panel. 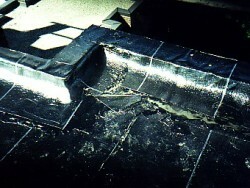 Modified base sheet flashing for wall detail. 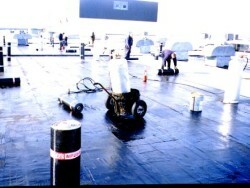 Installing EPDM loose laid ballasted membrane. 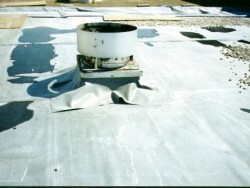 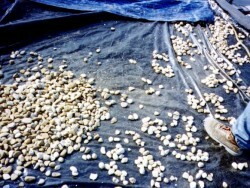 Filter Sheet and ballast for inverted roof. 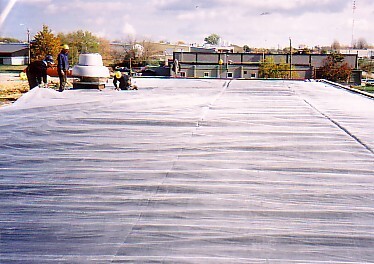 Completion of modified base sheet membrane application. 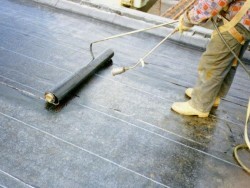 Torch application of modified cap sheet membrane. 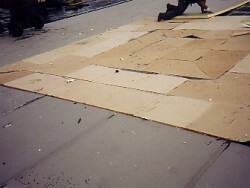 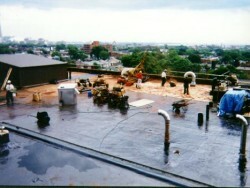 View of a typical roof under construction. View of completed 2 ply modified roofing. 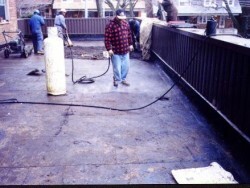 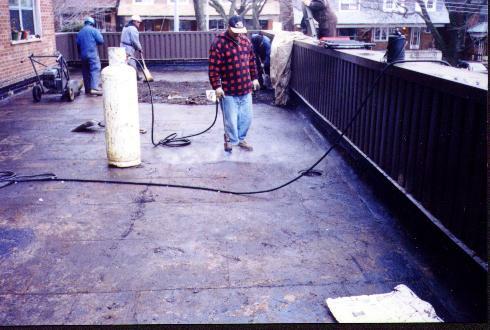 Priming of concrete deck prior to application of insulation. Removal of saturated phenolic insulation. 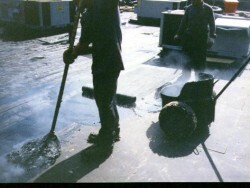 Removal of water damaged roof. 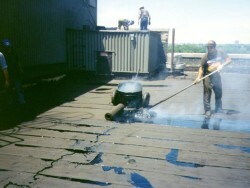 Mop applying No. 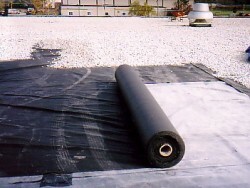 15 organic felt vapour retarder.